As the smaller sibling to Audi’s popular Q5 compact crossover, the 2017 Audi Q3 has the qualities you’d hope to get from any Audi. You’ll be quite comfortable driving it, and the cabin is quiet and crafted in high-quality materials. You get plenty of features for your money, too, at least relative to the more expensive Q5. But whether the Q3 is the best subcompact luxury crossover for you might depend on a few other factors. If you are looking for a used Audi Q3 SUV, we strongly suggest that you come to our used car facility at 115 Auto Park Circle in Woodbridge today! Pfaff Audi Vaughan has recently opened our pre-owned car facility to the public, and it is right around the corner from our dealership. If you are looking for used Audi vehicles, this is the place where you need to be. 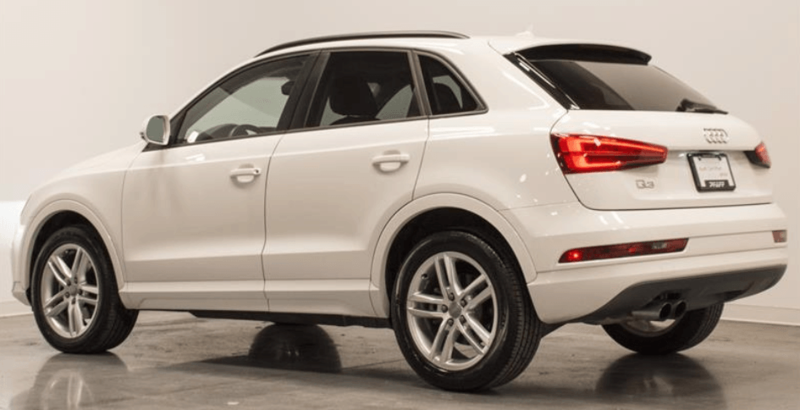 Read on for more information about a used Audi Q3. Begin your search for pre-owned Audi vehicles here! You’ll like the 2017 Audi Q3’s ride quality. Even with the larger 19-inch wheels, the Q3’s soft suspension delivers a smooth, quiet and fuss-free experience on the highway. This is the Q3 at its best, though. When it comes to engine performance, the Q3 is definitely a specimen. The turbocharged four-cylinder engine has a nice, refined feel to it, never drawing attention to itself with undue noise or vibration, and the acceleration is sure to put you back into the seat. The interior of this used Audi Q3 is absolutely stunning and intuitive. The cabin of the 2017 Audi Q3 is very nice, with styling and materials that seem worthy of the Audi brand. In keeping with the sporting nature of the automaker’s lineup, the interior has a distinctly sports car feel thanks to sharp-looking gauges, metal accents and a center stack that’s slanted toward the driver. When it comes to hauling stuff in addition to people, the Q3’s cargo hold offers just 16.7 cubic feet of capacity behind the rear seats. 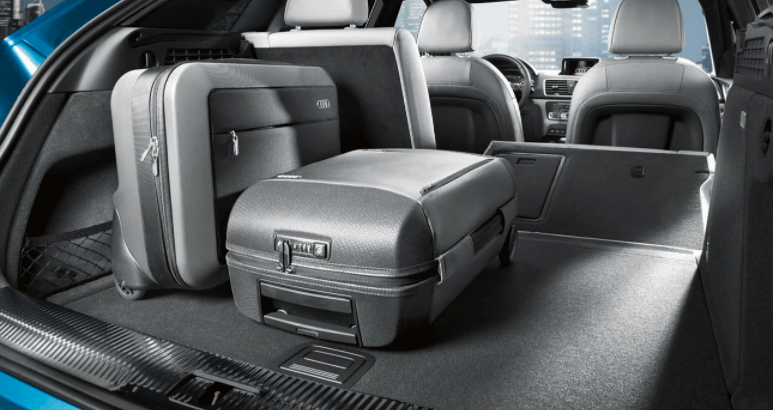 With those rear seats folded down, cargo capacity expands to a more reasonable 48.2 cubic feet. Standard safety equipment for the 2017 Audi Q3 includes stability and traction control, front side airbags, side curtain airbags, front and rear parking sensors, and a rearview camera. The Technology package adds a blind-spot monitoring system. The 2017 Audi Q3 received the highest rating of Good in the small-overlap and moderate-overlap front-impact tests. It also earned a Good score for the side-impact, roof strength, and head restraint (whiplash protection) tests. For more information about this used 2017 Audi Q3, or about any of our other used Audi SUVs at our pre-owned car facility, please feel free to continue browsing through our website. 115 Auto Park Circle in Woodbridge is the place where you need to be if you are looking for a used Audi Q3. Click here to find our contact information and to fill out our contact form.